This looks like another fun experience with a truly classic British theme we ran across on Twitter — Faulty Towers: The Dining Experience. 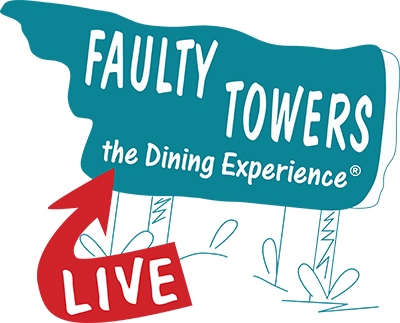 One of our contacts from the Group Tix Company told us, “I have had the pleasure of previewing Faulty Towers: The Dining Experience last Saturday afternoon. What a fantastic event. We laughed throughout the entire meal. 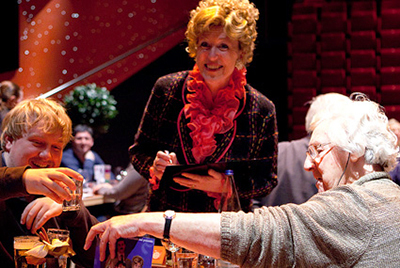 The lounge holds 130 diners per show in tables of 10. There is the possibility of up to 25% off, depending on the day of the week and if guests are doing VIP etc. We hear that March is very full so suggest looking at April to May dates, with the possibility of an extension. 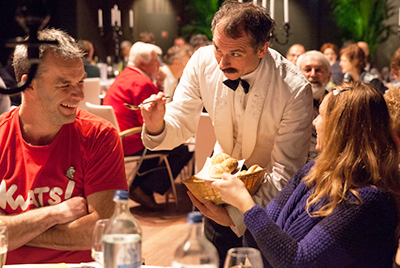 The savings would be even more if guests buy 10 or more on a given date, since the service fee is lower with a group. So, there you have it. Another free plug! We’re too nice. This entry was posted in Uncategorized and tagged basil fawlty, brits in toronto, faulty towers the dining experience, fawlty towers, manuel, sybil fawlty, the group tix company on March 4, 2015 by britsintoronto.